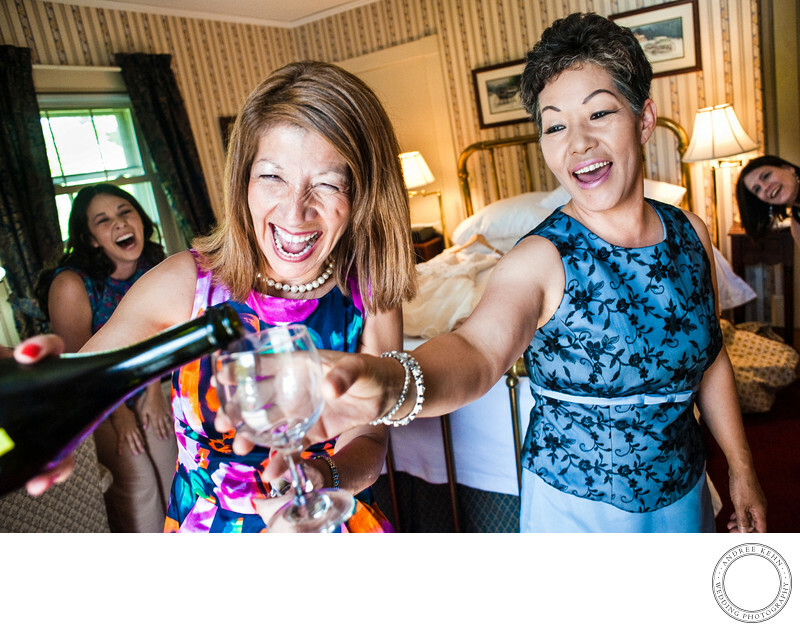 Having some bubbly while you are getting ready for your wedding can be a fantastic way to heighten the celebration of your wedding, just make sure you don't get out of control! Maine Wedding photographers will be on hand to capture the fun and anticipation of the festivities, you will want to have a great time and be smiling in your photos, make sure you have some food and water too so you are in great shape for your first dance! Keywords: Wedding (231). 1/200; f/4.0; ISO 3200; 24.0 mm.